This should be exciting news for all DiC fans (especially those who speak French). 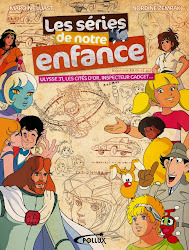 I just found out that a lavish new book about the early history and TV cartoons of DiC is being prepared in France - as an internet-funded project! 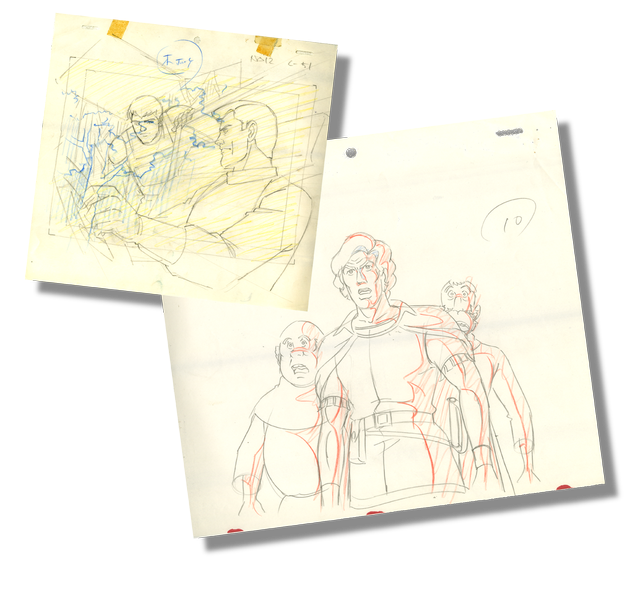 It will feature previously unpublished interviews and rare illustrations (ranging from cels and storyboards to vintage photos), as well as a thorough behind the scenes-look at all of the most famous cartoon series produced by the DiC studio. 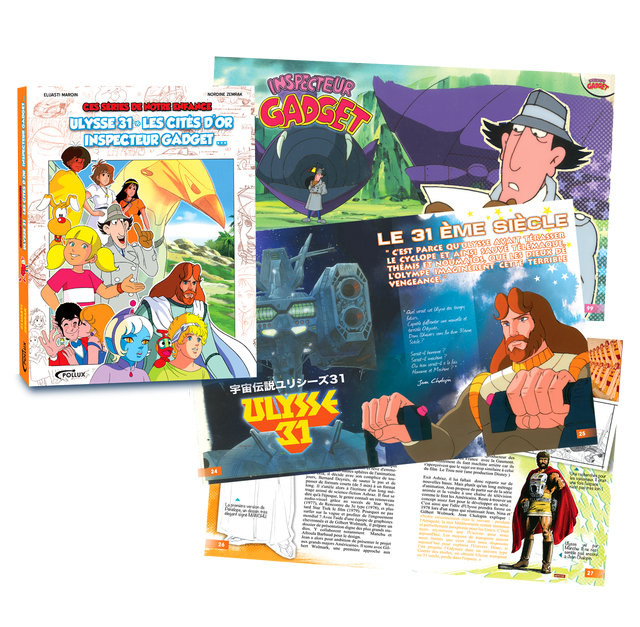 "Who has not dreamed of fighting with Ulysses 31, to help him find his way, of crossing the oceans in search of the Mysterious Cities of Gold in the company of Esteban, Zia and Tao, of fighting monster plants along with Jayce and the Wheeled Warriors? 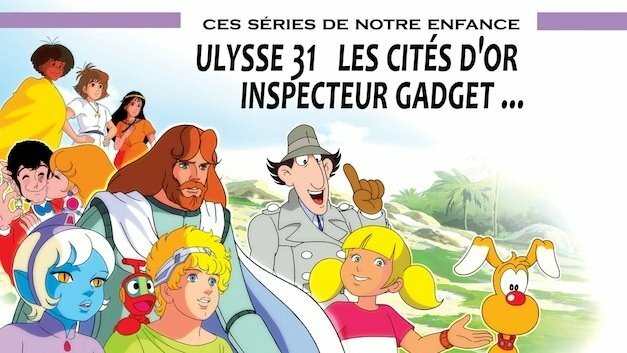 Who has not laughed at the blunders of Inspector Gadget or the jokes of Heathcliff and the Catillac Cats? These series of the 1980s have shaped our childhoods with their mysteries and humor. Today, we offer to find them and rediscover them within a single book citing all productions of the same studio: D.I.C. Captivated by these legendary series, we want you to discover the secrets of their production. This book will be the culmination of five years of research, documentation, interviews of all parties related to the creation of their series. We performed thus the globetrotting to gather evidence in France, the United States as well as Japan, China and Luxembourg and attempted to reconstruct the puzzle of an adventure more than thirty years old." 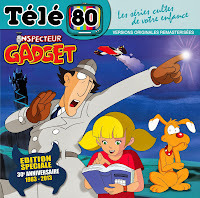 The book will concentrate chiefly on the period 1978-1988 - the decade which saw DiC grow from a small, French animation studio making commercials and industrial films into a major, international player in TV cartoon production. More importantly, this was the decade in which (arguably) all of DiC's most memorable cartoon shows were made. Just looking at the characters featured on the cover (and the sneak peeks next to the cover) makes me immediately interested in this book. "Specifically, what does it [the book] contain? The book format of 29.7 cm × 23.7 cm wide will include 192 pages in a beautiful glossy paper. The iconography represents 65% images and 35% text. 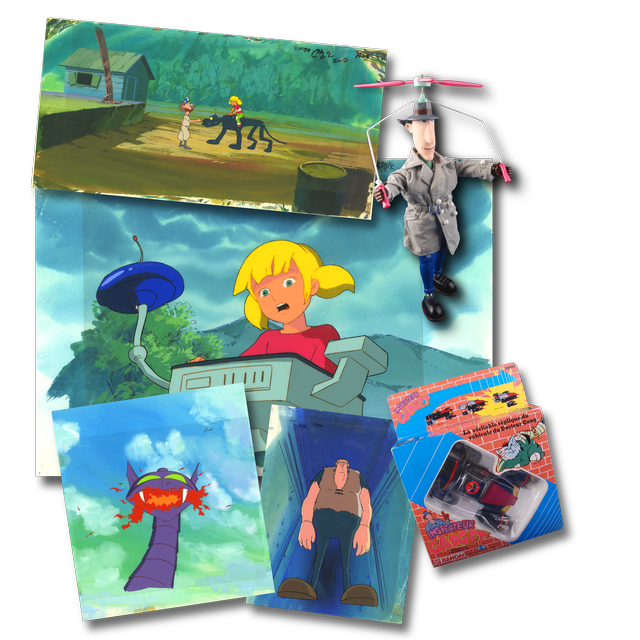 - Numerous illustrations: cels, backgrounds, layouts, storyboards, caricatures, products..."
In addition, all documents of the cartoons in the book are beautiful and totally original! And finally, there will be about fifty pictures just to make a complete immersion into the years 1970/1980. 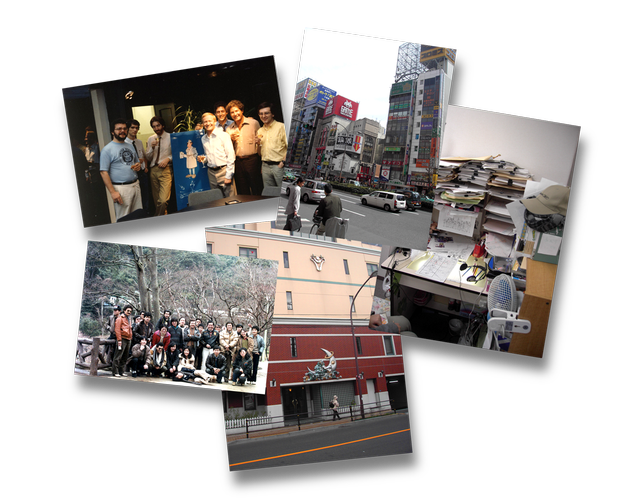 In addition to other things, this is making it a book totally different to what have been done so far;-)"
Oh, that's right: Below is an example of some of the cool stuff you can get in exchange for your donation to this project. (No, you don't have to give 250 euros, by the way; this is just an example. You can go as low as 5 euros if you want to.) Exclusive cels, storyboards, film reels etc.... all making it even more tempting to support an already good cause. As I said earlier, go straight to the book's site (fr.ulule.com/dic/) if you'd like to donate. (The site very conveniently converts the donations to your country's currency, so you can know exactly how much you're giving.) The authors hope to get the book published by October, as I said, but that release date is dependent on whether they can raise enough money in time. Every donation counts; so if you feel like contributing, do it right away and make sure to spread the word at the same time. in the first place I'd like to say but I'm glad to see that you're posting again, and I was beginning to get a little worried. This looks like a fascinating book, and even if I can't read the text the pictures should be interesting at least. I do up some concern though is to rather run not enough donations will be given to get this project off the ground. 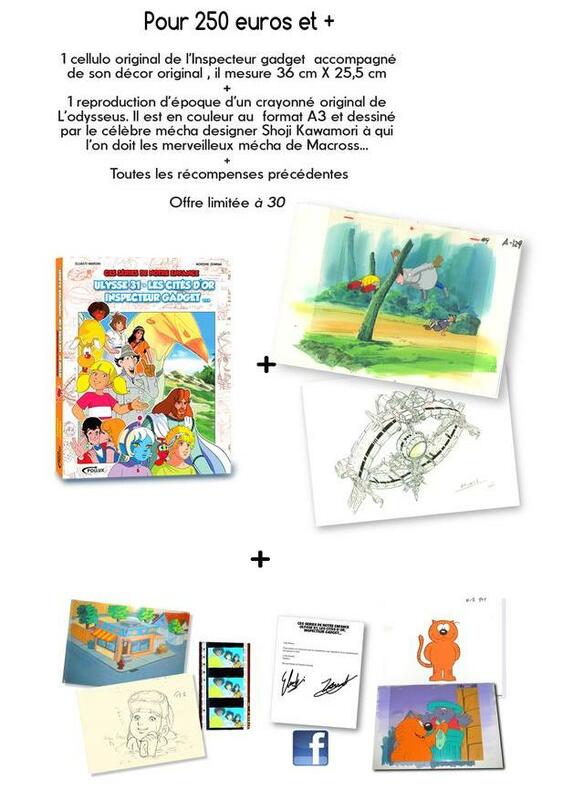 I'm particularly curious to see whether or not there will be any concept art of Penny or Dr. Claw, if the book does get made perhaps an IG fan in France might be able to translate the text or something? it will be truly interesting to see if there are any rejected designs for Dr. Claw, and I help but wonder how the M.A.D logo was created, I wonder if there's anyone alive today who would know? I'm also looking forward to your article on IG comics and comic strips, will you be working on it soon? finally, I and someone I know will be collaborating on a IG Project, but we need some information involving the interior and exterior of Dr. Claw's Castle. I don't want to go over the details here for fear of major spoilers, but we can talk about it through e-mail(atozfan@yahoo.com) Deviantart.com(http://terraerminasraven.deviantart.com/), or skype(Username: LunatheLawcrafter). About the article(s) on IG's comic strip history... I'm afraid that's a way off at the moment. The thing is, the way this blog has evolved, I've simply posted about whatever I've felt like writing about. That's why the blog has survived as long as it has, and that's why my reviews of the various comic strips/books haven't happened yet. Truth to be told, after collecting and reading some of these comics, I actually found them so BAD that I lost a lot of my motivation for writing about them. 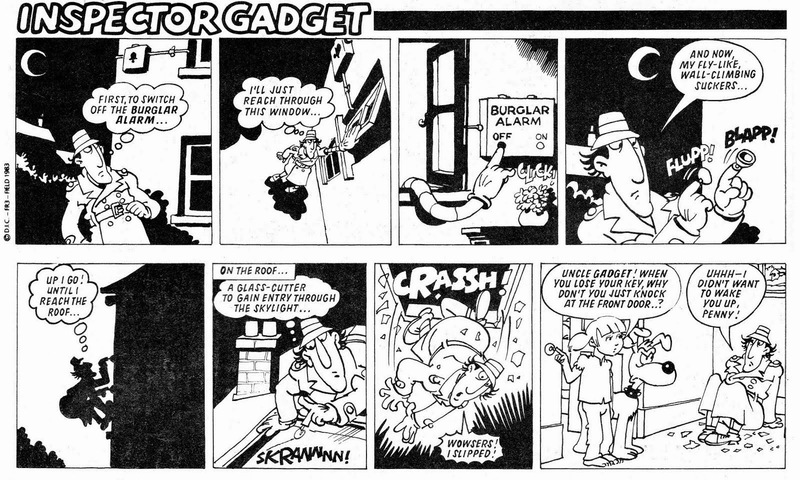 Sadly, most of Gadget's comic strip incarnations are amateurishly lousy. The effort from Viper Comics is actually the BEST comic adaptation ever done of IG, believe it or not!... In short, I’m not saying the comic strip reviews will never happen… I do have a few complete issues of the first comic book version from the 80s lying around… but right now, I don’t feel like going through all the work of scanning all those pages and then writing detailed reviews about comics I don’t even like very much. Not when I can spend that time writing about more interesting stuff, like the above-mentioned book, instead. Maybe I’ll do the comics someday, but treat them more like a curiosity, with short notes and mostly just posting the comics pages so people can at least get to see them. They do have a certain so-bad-that-it's-good factor, so there is at least some entertainment value to them. Don’t get me wrong, though… the blog can be fun to do as well. But it is and will always be a spare time project, and sometimes it’s actually taking up too much of my time. That's why I'm not blogging every week, or even every month, at the moment... other things in life are taking up too much time for me to do so. Admittedly, this fan blog is just a small part of my life... so when other, more important things pop up, the blog takes a break. With studies and other obligations going full speed, it's generally not easy for me to tell when I have the time to blog here. The IG project you mention working on makes me curious. Still, I'm not sure exactly how much I can help with "information involving the interior and exterior of Dr. Claw's Castle". I guess the best thing to do would be to just watch the original series and study the various castles he has there. That's the thing, too... if you're using the original, first season of the show (my favorite version of Gadget) as your reference, then you will find not only one castle for Dr. Claw, but MANY, and usually spread in different countries, too, depending on the location of any given episode. True to his secretive villain persona, Dr. Claw changes the location and look of his base constantly, probably partly to confuse the police (and Gadget) in their search for him. In short... I guess if you want to have just one castle, you might have to pick one of the many variants from the show. At this point, I'm happy to see any updates on your blog at all. in any case, the IG project that I'm working on is a series of fanfics I will soon commission. They will take place in a universe that is more realistic than the cartoon show itself, but most of the events in the first two seasons occur as shown. In the first story Penny and the uncle she watches over, find themselves at the beginning of their third year of battle (since Penny's uncle became a cyborg and she started helping him) with M.A.D, as Penny goes on a solo mission to deal a major if not decisive blow against M.A.D AT what she believes to be Dr. Claw's mountaintop castle headquarters. meanwhile Brain finds himself in over his head protecting Gadget against a small army of mad agents led by a group of his old enemies who have been given one last chance to destroy the bionic inspector. While this is going on Dr. Claw reveals the true scope of his organization, and executes a terrifying plan to leave Metro City lifeless and ready to be picked clean of loot! The story series deals with the character background, surprising motivations, and an explanation for nearly everything that doesn't make sense or needs to be explained in the show. details left out of the show are revealed, like what chief Quimby's full name is, why everyone seems to think that Gadget is pretending to be stupid, how Penny and Brain manage to get around the world without anyone noticing, why several people in the show have seen Dr. Claw's "face" but haven't the faintest idea of who he is, the back story behind Atsuko's battle with Waruda and his organization, why Penny is living with her uncle and how he became a cyborg, how Dr. Claw is always spying on his enemies, the secret origin of the Gadget Mobile, why Dr. Claw is so slow to realize the secret of his enemy's success, and what exactly is a "detective-agent" anyway? Capeman is there in flashbacks only, Mrs. somewhat different version. 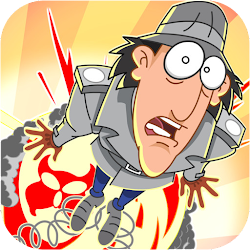 He's playing a part, very mysterious at first, he dislikes gadget in reality, but he's also supposed to help him behind the scenes, his job is to kind of evaluate gadgets gadgets performance as a police officer, but it also got another job. Penny hates them for most of the second year, but she certainly understand why he is so frustrated, after all gadgets pretty much living his dream. Also he looks nothing like the character he portrays and gadget is sure that the two were different people. Furthermore this version of caveman is more of a cheerleader and not quite as proactive when it comes to going along with gadget on his "Assignment". he's more likely to help behind the scenes sometimes, he even takes on brain's job half the time. After all the poor guy desperately break. his exit from the lives of accident company is a bittersweet, and the experience ends up making him a better person, more confident more willing to socialize, more thankful and diligent law enforcement officer. but as far as Penny is concerned is also a cautionary tale about the vengeance of Dr. claw, and what pain he feels will happen to her if she dares tell her uncle that shes the reason for his success. Cape man gets what he wants, partly anyway, but it turns out to be fleeting, and Penny is left praying for a complex but noble person she never really got to understand, but was still thankful for all the things he did for her uncle. "all of these weird, inexplicable mysteries that popped up in the original series..." I go by what I see from the show and the stories will either ignore or cartoon aspects (if someone should've been killed in real life than they probably will be, though there will certainly be exceptions for Brain or Dr. Claw) or use them to their dance like in the case of Gadget, in this story he is pretty much indestructible on the outside. on the other hand there are some points that I might need help on as them going by what I've picked up in the episodes, unless it's an animation error (if it fits in with what I have in mind story wise then I'll let it stand, for example, if the buttons on Penny's watch are up side down), however if there are some things I've missed I might need help with that. I'm not sure who will be able to help me, as I'm not too deep in the fan community, and I certainly wouldn't know where to look. "that, and to find explanations which satisfy the fans, who of course have made up their own theories over the years." like I said I'm not sure what some of the fan theories are outside of some of the more common ones involving Penny's parents, who Dr. Claw is, and what his face looks like. perhaps that would make for a fun blog post, it would also help me with the story, even though I'm not going to be writing it. Although I'm unaware of the fan theories for all the things, I did go with what made sense, like having Dr. Claw using a voice modulator that either malfunctions sometimes or has two different settings, and there was a glitch during the "Race to the Finish" and that less renowned talk to him but for that confronted the police directly, particularly when you're on your own and in front of the police station, is a very stupid idea. in any case I will need a bit of help with finding the fan theories, as you probably have a better idea of where to look than I do. 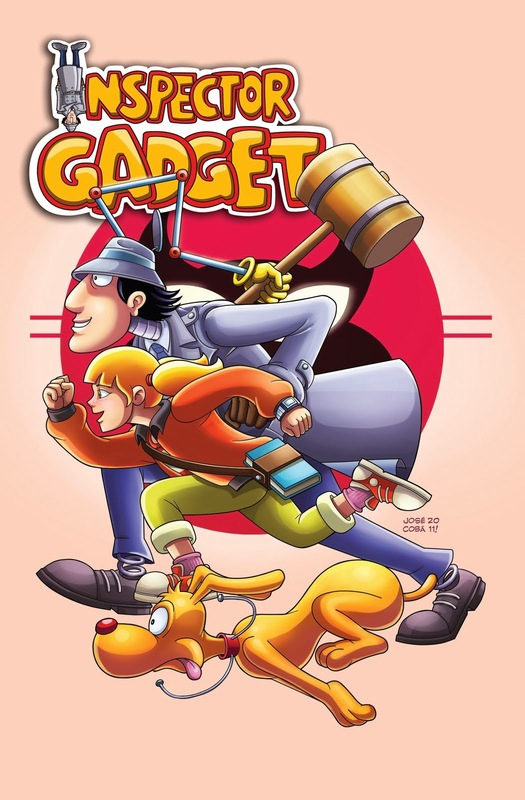 I also went with series that made sense in line with the evolving story I ended up telling, it will be dark but Gadget will still be funny, and Penny will certainly have our own more ironic and dark wit. And chief Quimby will certainly not be as stupid as one might think. And although Dr. Claw is at first or oblivious van unwilling to acknowledge, finally he realizes who his enemy is but he's missing one or two pieces of information, even so it doesn't quite realize what he's dealing with, he's got not one but two landmines dedicated to his destruction. 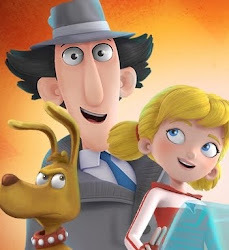 And even if he does defeat gadget permanently in some way, he's only activating a plan that's many years in the making, and ends up creating a new and improved "Inspector gadget" who will easily become his most powerful and terrifying opponent ever. Even so, minor deceits don't really hurt this guy, stop one plot and he's got five more going on at the same time, the ones he did not personally involved in, those are the missions that gadget ended up getting, as his superiors think this is the only one capable of directly confronting Dr. claw, even if it's only from a distance. Not to mention he certainly has backup plans, and some of his plans were only stopped for the short term, others were simply to hide a deeper and more diabolical objective. But thing is the technology that exists throughout the series shouldn't exist, even with all those brilliant scientists that get featured, but there is a reason for this technology, and has nothing to do with ancient astronauts. And boy what an endgame does he have! It turns out that Dr. Claw was right, though perhaps not in all the ways he thought he was. Hi, thanks for notifying me! :) Yeah, I heard about this a couple of days ago myself. 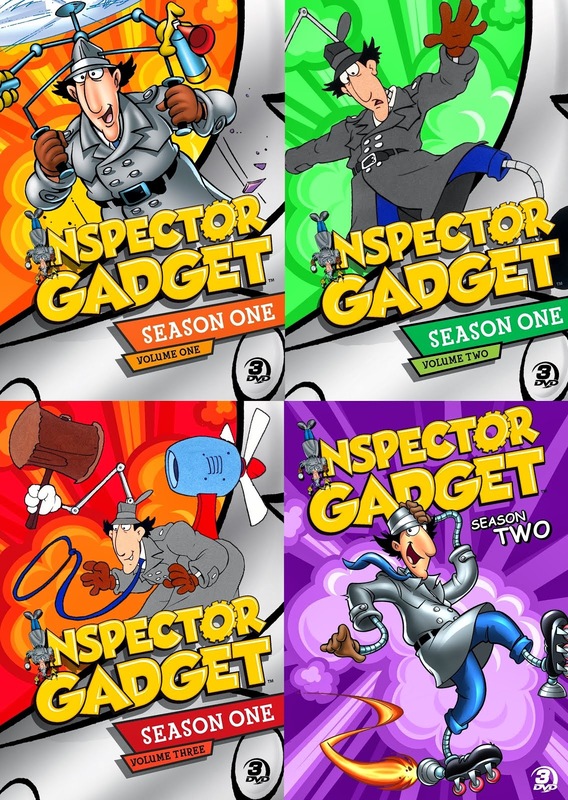 At the moment, I'm not sure what it means to the Inspector Gadget franchise either... other than the fact that Gadget is now part of an even bigger media conglomerate than he has been up to this point. I wonder if this will have anything to say for the (supposedly in development/production) upcoming TV series.